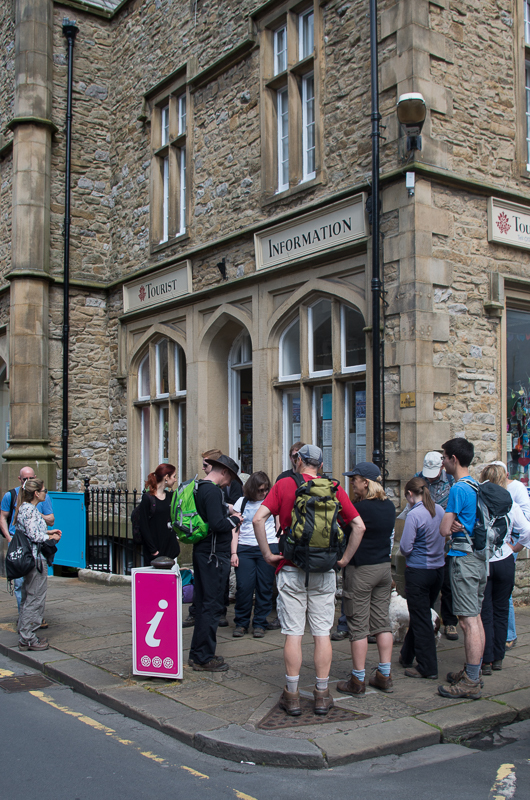 In Settle, on Saturday 11th July at 11 am, once Matt had counted his chickens (19 humans and one dog) outside the Tourist Information Office, we set off with the first of several steep ascents, and as expected, I lagged behind with luckily the excuse of being the oldest. The views were magnificent from the start, which meant frequent pauses, so I could catch up, although many people kindly walked at my pace. Hill or no hill, there was no shortage of chatting, one great advantage of walks over, say, meals, being that you easily change conversation partner and meet almost everybody. 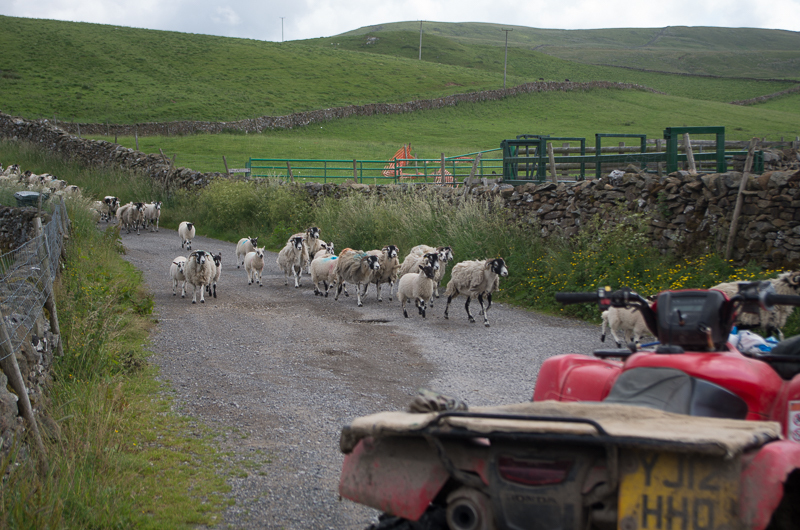 As we encountered a flock of sheep arriving from the lane we were about to turn into, we stopped to watch the farmer manoeuvre them into a pen. After about an hour and a half, Matt showed us to our dining room, with a view of course. However, this spot also happened to be particularly appreciated by a herd of cows and their calves which descended upon us at a relatively slow but steady pace that didn’t leave much room for negotiation. So we quickly repacked our packed lunches and Ella (our four-legged friend) was shifted over the stile as a priority. Phew, panic over, we relaunched our lunch on the other side of the wall. 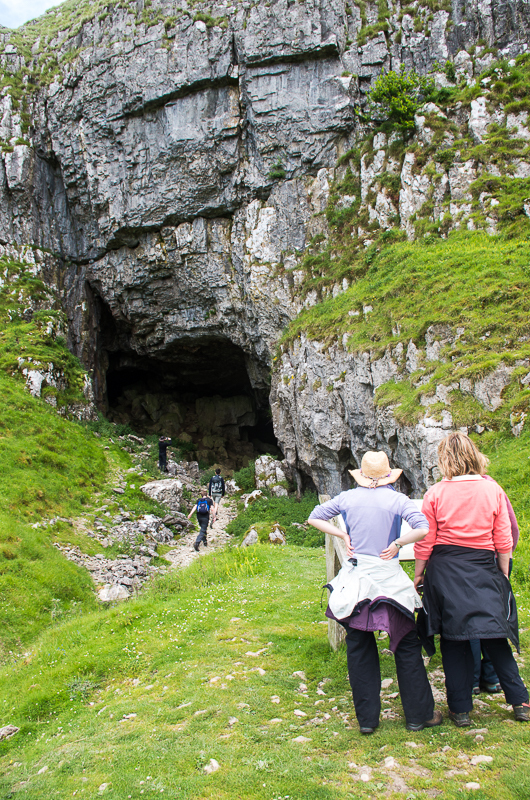 Another half hour walking, past blue sheep, and there was our second cave and second break, and guess what, more amazing views, with the three peaks in one panoramic photo. 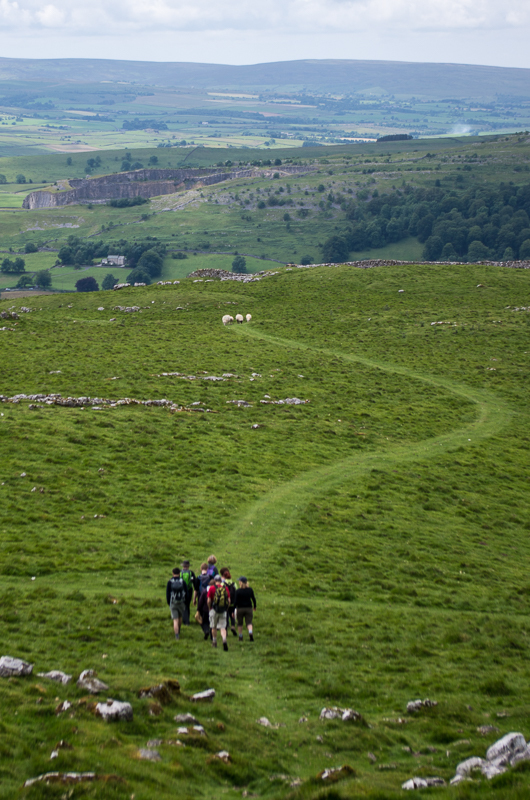 Then it was downhill all the way to Settle, and the pub elected by Matt for a pint or a brew. I chose to have a mooch around Settle and had a chat in French with the man from the Rotary club selling books in the glorious sunshine. Altogether, much more pleasant than the canicule (37°C) I had left 2 days earlier. 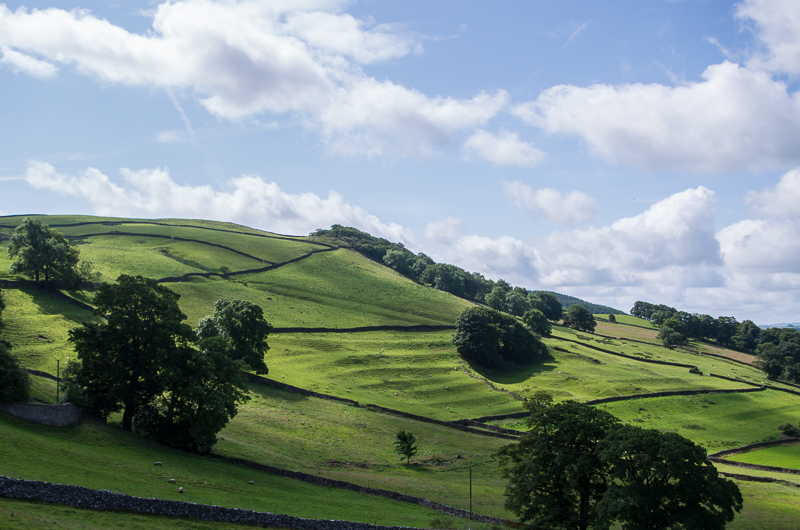 But then, isn’t Yorkshire God’s Own County! Thank you, Matt for a memorable day. Sunday 7 June was a gloriously sunny day in Sheffield and the date of YTI’s June social: a trip to see “The Russian Woodpecker” film at international documentary festival Sheffield Doc/Fest. I had been looking forward to this social in particular, as we Sheffielders enjoy welcoming fellow YTI members back to our city, but also because I am a personal fan of the festival, having volunteered at it for the past few years. Eight of us began the afternoon at around 4 p.m. with a meal at Café Rouge at the Peace Gardens. This venue had been suggested by a YTI member, and it seemed a suitable choice for a group of linguists! We enjoyed dishes such as steak baguette, Croque Madame, risotto, Moules Frites and Demi Poulet, whilst also having the chance to catch up with new and familiar faces. We then made our way over to the Sheffield Tap, the pub at the railway station, for a quick drink with another two YTI members, before making our way over to the Showroom Cinema in time for the film. I must admit that I’d been sceptical about whether the film would be quite “my thing”, as I know a lot of this year’s Doc/Fest programme has dealt with some pretty deep subject matters, but I can genuinely say that I was gripped by it. This documentary, directed by Chad Garcia, follows Fedor Alexandrovich’s investigation into the 1986 Chernobyl disaster. Alexandrovich himself was raised in Ukraine and was only a young child at the time of the disaster. He was one of the children who was separated from his parents and sent away for safety following the disaster, and who is still suffering from the after-effects today. 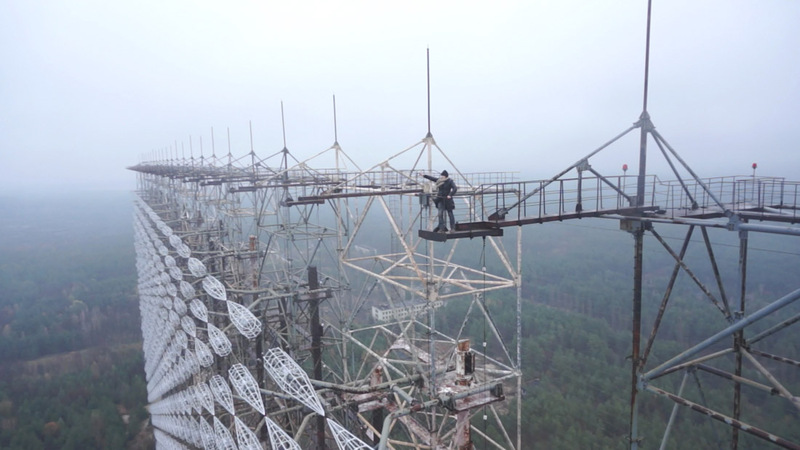 Alexandrovich is interested in the Duga – a massive radio transmitter that emitted the woodpecker-type sound in the 1980s and from which the film gets its name. The Duga is located next to the nuclear power plant and was designed to interfere with western communications. It becomes clear that in 1986, the Duga was about to be exposed as a failure. After having interviewed various former Soviet officials, historians etc., Alexandrovich claims that the nuclear disaster was a deliberate act arranged by a now deceased Soviet official in order to cover up for the failure of the Duga. I found the film very thought-provoking, and it encourages audience members to reach their own conclusions about the alleged cover-up. Garcia and Alexandrovich were in Sheffield in person on 7 June to answer audience questions, which added another interesting dimension to the overall experience. Some of the filming had been dangerous to do, given Ukraine’s recent political unrest, so questions were asked about that, as well as about whether the director had felt concerned about radiation levels in present-day Ukraine, whether the documentary had been shown in Russia and whether Alexandrovich currently felt in any danger. Alexandrovich, Chad and other members of the team had also secretly filmed each other at some points during the making of the documentary, so further questions were asked about that too. Overall, I thought the documentary was a worthy award-winner and a thought-provoking piece. It gave us something to think about and the subtitling/international dimension made it a suitable outing for a group of linguists. Thank you to the organisers of this social and we look forward to welcoming you back to Sheffield, and perhaps even Doc/Fest, again soon! Always a pleasure to visit York, even on a slightly unsettling grey but warm day. However, it was good to be out of the drizzle, and by the time I arrived at the Friends Meeting House on Friargate, just along from the Clifford Tower, fellow YTI’ers were already starting to tuck into the lunch goodies provided. A few of us eyed up the piano – which of the committee was going to do a musical turn? First on the agenda for the afternoon was Chris Thompson’s presentation on Unicode and how it enables people around the world to use computers in any language. I imagine we have all wondered why the words we read on screen are sometimes rendered unintelligible by the appearance of unexpected symbols. This can be amusing if you’re in the right mood, but is obviously something to be avoided. Chris talked us through how, in the early days of computing, confusion arose because there was no standard representation of letters or symbols. In 1963, an attempt was made with the ASCII code to pin down the letters and punctuation marks for the major European languages by allocating one number for each character. There was a bit of maths at this point (we cowered in our seats) to explain the binary numbering that computers use – for the record, each 1 or 0 in binary code is a bit; 8 bits make a byte. The ASCII code of 1963 was based on the English alphabet and had 128 letters, numbers, punctuation and control characters (e.g. ‘carriage return’), but was soon extended to include accented letters with diacritical marks. In typographical terms, Chris informed us, letters and other characters are known as glyphs – they describe the meaning of the character without describing the shape, size or colour. So A is described as Latin Capital Letter A, and ? is Greek Small Letter Epsilon, etc. Have a look when you’re next in Word; the description is towards the bottom left of the Symbols window. However, there were multiple encodings amongst the various systems such as DOS, Windows and Mac and duplicate meanings for code numbers, and so Unicode entered the fray as a single standard for all scripts, providing a unique number for every glyph irrespective of platform, program and language. The Unicode Consortium is a non-profit organisation that includes industry giants such as Adobe, Apple, Google, IBM, Microsoft, Oracle, SAP and Yahoo, but also government ministries, user groups and others. What’s known as the Basic Multilingual Plane (BMP) offers 65,535 code numbers (enough for all the current major scripts of the world), and Chris was able to show us a rather wonderful, mind-boggling poster containing the current configuration. In addition to the BMP, there are code allocations for other pictographs, historical scripts, musical notation etc. 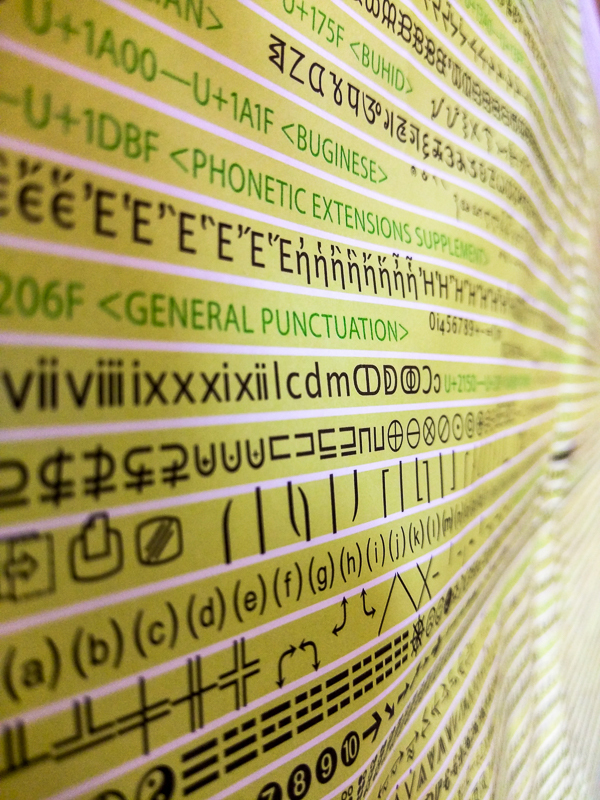 Proposals for new additions to the standard are submitted to the Unicode Technical Committee. Not everything is approved – apparently, a Klingon script was rejected, one reason being the ‘Lack of evidence of usage in published literature’! Just as we were breathing more easily at the thought of this all-encompassing standard solution, Chris noted that there were variations …. Russian, Chinese, Indian and Japanese standards all exist, some of which partly coincide with Unicode. Also, a variety of encodings are available to deal with the practical difficulties arising from the sheer volume of glyphs that need to be represented. But Chris kindly advised us that we needn’t panic, and that code UTF-8 is the one we are most likely to meet. After this, Chris gave us some practical examples of trouble that arises when operating systems and fonts are not up-to-date with the most recent Unicode version or where there is incompatibility between encodings. These are the question marks, lozenges and other oddities that we have no doubt seen popping up in, say, a website, where the browser was expecting one encoding but was given another. Chris also pointed out some particular downsides of a wrong character set being used. If a character that looks like, say, a degree sign ( ° ), but is in fact slightly different ( º ), any future users of the text will have difficulty finding the character in a search at a later date. Even more problematically, those of malicious intent may take opportunities to fake websites by using a lookalike font for the domain name. Somehow, Chris managed to distil his years of hard-won experience in grappling with transforming formats in databases into just an hour or so, and, no, I don’t think any of us did fall asleep despite the hints written into his text. We were also grateful for the cup of tea! The AGM followed, with all the necessary procedural matters dispatched in customary fashion, and it was good to be reminded of all the varied events that the committee had organised during the year and some of the plans for upcoming activities. The finances are in reassuringly good shape and the committee was asked to look at ways of spending some of our surplus – always a difficult task! Finally, Catherine Greensmith was given a vote of thanks on retiring from the committee after her 20+ consecutive years of service! Many thanks to our coordinators and committee for organising this event and for all their hard work helping the YTI group to flourish, and to Chris for his very entertaining and useful presentation.